This week feels like it's flying past, how is it Wednesday already? I've not really made much progress on my projects this week, been a bit distracted watching our new chickens. And then this morning we went to IKEA for some shelves and came back with lots of other useful stuff that we didn't realise we needed... Isn't that always the way lol. 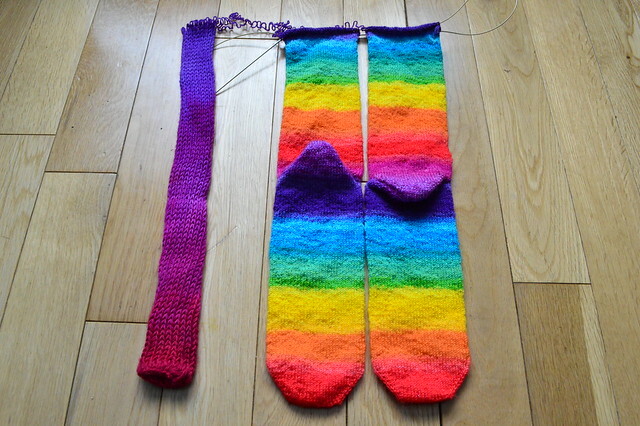 My rainbow socks are now onto the purple section, nearly ready to start the ribbing. 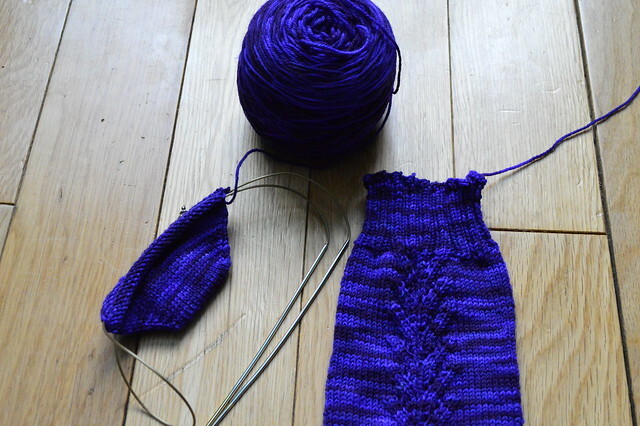 I can't wait to have these finished and ready to wear. Love both your socks! The colors in each are fantastic. Absolutely love the rainbow socks! Love those rainbow socks! Fabulous. Those rainbow socks are the best! 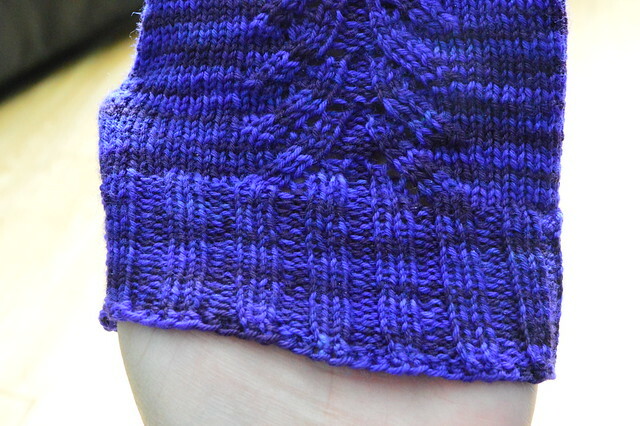 Wow, the colour of your express line socks are gorgeous. Thanks :) They're actually more of a purple colour in real life but my camera was struggling with it. Happiness is rainbow socks. The express lane sock is like cars racing in a tunnel at night.